In another sighting on Long Island in the town of Commack, NY, a resident was watching television when he noticed a bright light out of his living room window. 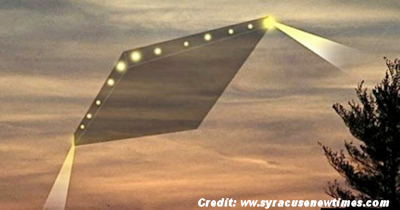 He tells us that he went outside to his porch to get a better look and saw a bright diamond UFO traveling from North to South. . . .